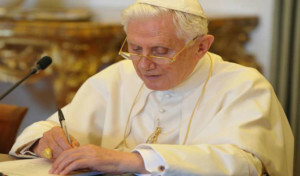 The Journal - Benedict has written a 6,000-word essay for Klerusblatt, a German monthly magazine for clergy. Vultus Christi - Painting in the Abbey of Vy'' Brod, Czech Republic CHAPTER XXXVI. Of the Sick Brethren 15 Mar. The American Catholic - Saint Francis left behind him 28 admonitions for his brothers. This Lent we will look at them: I.